At 1,600 miles (2,576 km) across Titan is by far Saturn’s largest moon – in fact it’s the second-largest satellite in the solar system. It’s also the only world besides Earth where liquids have been found in large amounts on the surface, in the form of lakes and streams of frigid methane and ethane. This makes Titan an intriguing subject of study for planetary scientists, but unfortunately it’s not all that easy to get a good look at its surface because of its thick orange clouds and dense atmosphere. Now, researchers have developed a “despeckling” method to smooth out Cassini’s typically grainy radar maps, giving scientists a whole new way to look at Titan’s alien — yet surprisingly Earth-like — surface. 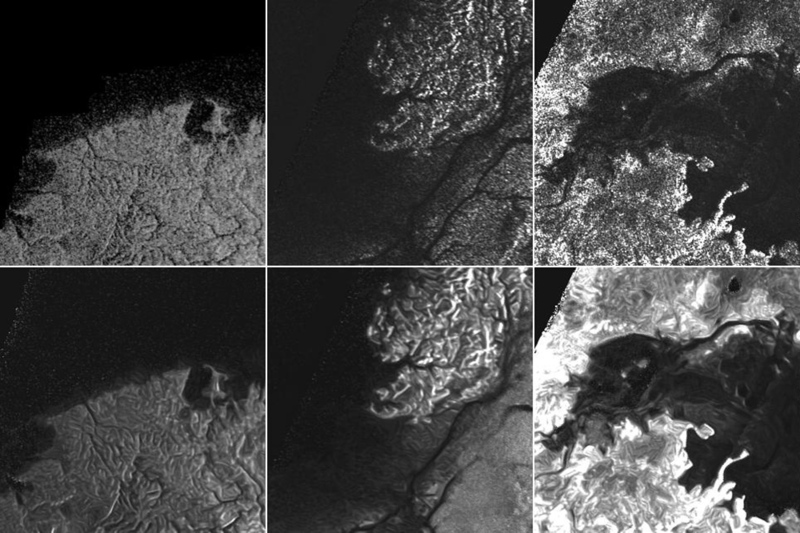 It’s fascinating to see those pictures, I watched the descend of Huygens before, but it should be interesting to study more of Titans landscapes. Thanks for sharing.